ABERDEEN, Scotland (Morning Star News) – Fear of Islamist attacks was again cited as the cause of stopping worship in Egypt this month, even though parishioners said local Muslims supported the opening of the shuttered church outside Cairo, sources said. Anba Morcos, Coptic Orthodox bishop of Shobra El-Kheima, decided to close the Pope Kerlis VI and Archdeacon Habib Gerges church before Nov. 17 services after consulting with the governor of Qalyubia, who had warned of possible Islamist attacks, according to Egyptian newspaper Almasry Alyoum. After Friday mosque attendance on Nov. 17, Muslim families gathered outside the closed Coptic Orthodox church building in Shobra El-Kheima, about 30 miles outside of Cairo, to show their support for it, an area Christian told Morning Star News. The church building had been rarely used since construction was completed in 2015 as it took two years to meet all legal obligations for opening, Aiad said. When it opened this month, it served around 1,000 Coptic Christian families who again have no place for worship now, residents of Badr City, near Shobra El-Kheima, told Morning Star News. On Nov. 16 workers from the national electricity company reportedly tried to cut the church building’s power. Coptic priests and youths stopped them before they cut the main power cable, and later that night Bishop Morcos reportedly told the church’s priest to cancel the next morning’s Mass due to local officials’ security concerns. Christians refused to leave the church building and spent the night inside it, according to local press reports. The church closing followed a flurry of anti-Christian hostilities. 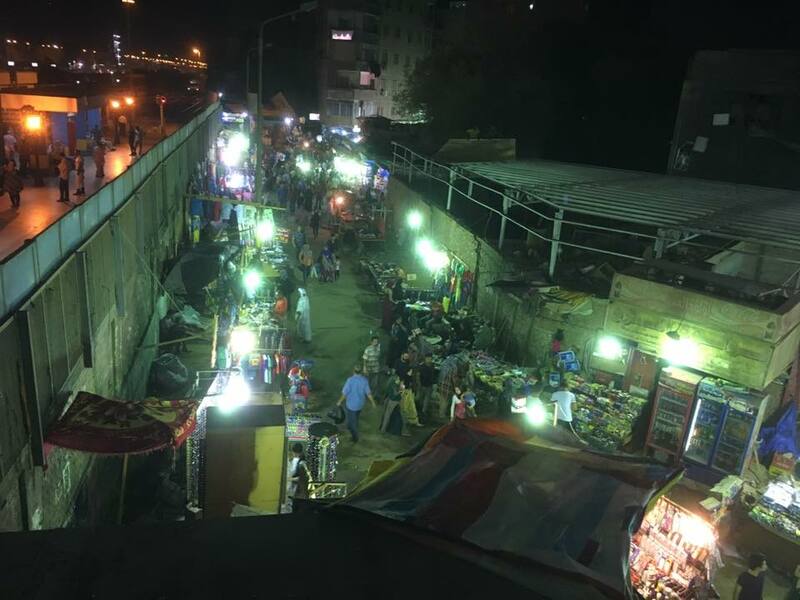 Coptic Orthodox Bishop of Minya Anba Makarios said on Oct. 28 that it has been years since Egypt has seen the church closures and assaults on Christians and their properties without deterrent in October. In what he termed a preliminary statement, Makarios said four churches were closed over two weeks. Islamic extremists attacked three churches in Minya Governorate. On Oct. 15, local police closed the Virgin Mary church in El-Sheik Alaa village, Minya, due to tensions with Islamists following a Christian’s attempt to open the church for worship. The church had been closed following Muslim extremists’ attacks in 2015, and since then it has never re-opened, according to Bishop Makarios’ statement. When Copts tried to reopen the church and hold a Mass on Oct. 15, police decided to close it, even prohibiting Christians to gather in the area around the church building. Only the church’s priest was allowed access to the church, but no worship was allowed. A week later, local police in Minya closed two more churches. On Oct. 22, Anba Mousa El-Aswad church in Keshery village, Abu Qurqas, south Minya Governorate, was closed after local extremists stoned the building and attacked Christians. The bishop stated that four Christians were injured in the assault, and that none of the attackers were arrested. By the end of October, Christians were forced to submit to unfair conditions of “customary reconciliations,” wherein churches have to remain closed until Christians obtain legal permits to worship, according to Coptic activists. Thus no one is held accountable for the attacks. The same day the customary reconciliation session took place, area Muslims in Ezbit Zakaria, Minya city, stoned St. George church. A Coptic woman was injured, and police later brought control. On the same Sunday (Oct. 22) in El-Karm village, Abu Qurqas city, local police shut down Abu Sefeen church. On that occasion there was reportedly no sign of religious tensions or potential attacks. The same village last year witnessed one of the most severe Islamist attacks against Christians. Local extremists attacked and looted seven houses owned by Christians, and they assaulted an elderly Coptic woman, Soad Thabet, and stripped her clothes off in the streets. 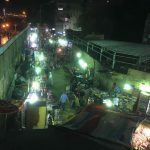 The violence broke out following rumors about an alleged love affair between Thabet’s son, Ashraf Abdo, and a village Muslim woman identified as Nagwa. According to an official statement by the Minya Archdiocese in May 2016, Thabet’s family had filed a report at Abu Qurqas police station a day before the assault warning of possible attacks after they received threats from local Muslim extremists. The bishop’s statement mentioned that about 300 people began attacking Christians at 8 p.m. in the assault last year, and security forces did not arrive until about 10 p.m. Only a few of the attackers were arrested; they were later released. President Abdel Fattah el-Sisi condemned the incident, promising accountability for those who assaulted Thabet. “Law will be applied, and anyone who did something wrong will be held accountable,” El-Sisi said in a May 2016 speech. In mid-January, south Minya’s attorney general, counselor Abdel Rehim Abdel Malek, had closed the case of the assault on Thabet due to lack of evidence. At the same time, a Minya misdemeanors court sentenced Thabet’s son, Abdo, to two years in jail related to an “adultery” conviction. Hany Ramsis, Abdo’s lawyer, told Morning Star News that the case against his client started with a report from Nagwa’s husband accusing Abdo of having an affair with his wife. Ramsis said there was no evidence of adultery and that the case was built on the testimony of Nagwa’s 11-year-old daughter, though her age should have made her ineligible to testify in a court of law. “Police investigations failed to provide any evidence against Ashraf [Abdo] and Nagwa,” Ramsis said. If you or your organization would like to help enable Morning Star News to continue raising awareness of persecuted Christians worldwide with original-content reporting, please consider ollaborating at https://morningstarnews.org/donate/? Praying for our Brothers and Sisters in Egypt…pleading the Blood of Jesus/Yeshua over them and that God would give them wisdom, courage and protection from the Satan’s attacks against them.